Posted by torinado in Hello. 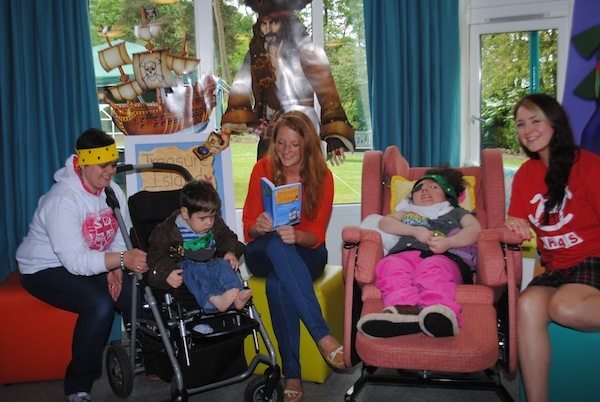 Merchiston Publishing visited Rachel House Children’s Hospice received to give kids and families a peek at Treasure Island: A Play before the official launch on 8 June! All profits received from selling the book will be donated to the Children’s Hospice Association of Scotland (CHAS). Read more about the visit in The Edinburgh Reporter or on the CHAS website! Image courtesy of The Edinburgh Reporter. Posted by rosiehowie in Hello. Shock announcement! 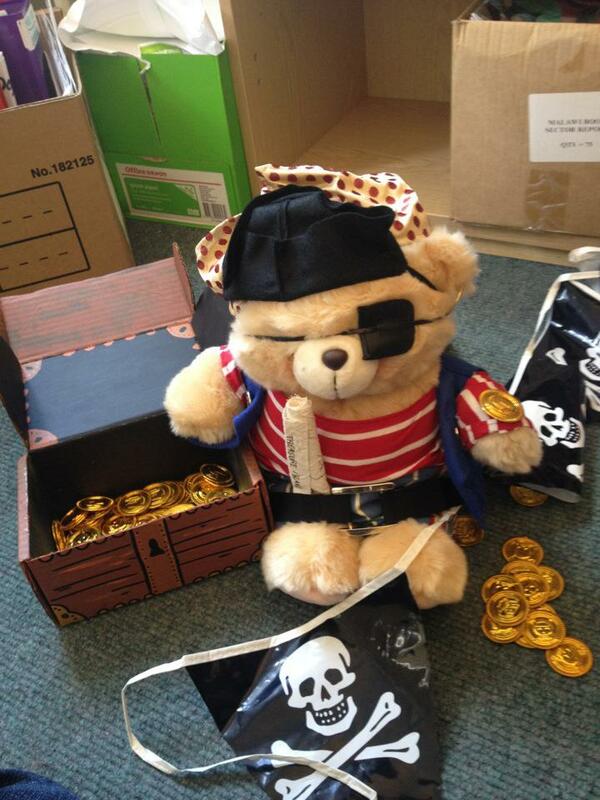 News of our upcoming book launch of Treasure Island: A Play has apparently reached the shores of the South American coastline, and the attention of Captain Long John Silfur, the famous and renowned pirate bear. Apparently Long John Silfur will be making a top-secret special appearance at the event held at the Grand Turmeau Hall, Craighouse Campus, Edinburgh Napier University on Friday June 8 2012, open to all participants in the children’s artwork competition along with special guests. Long John Silfur has been on the most wanted list for a number of years, wanted by the law for a number of serious crimes such as gold jewellery stealing, parrot kidnap, and illegal gummy-bear smuggling. He has also been implicated in the robbery of a number of cake-shops from up and down the country, particularly known and feared for his love of fudge-cake. Long John Silfur was kindly donated to us by Hallmark, and design and costume was supplied by Lorna Jamie from Troon, Scotland.